On deeply green and often boring summer vacations (boring isn't a four-letter word, really) in Greensboro, Vermont, the highlight of trips to town was the tiny, well-stocked public library. It was packed with possibilities. Someone should have opened a beautiful indie bookstore in Greensboro, at least for the summer, because moms and dads sat in the car during early morning goosebump swim lessons and no one had cell phones or kindles. But I remember the smell of the place, the vanilla and dust of books, checked out and brought to the lake, checked out and left on plaid couches, checked out and read through night and into morning. This morning I met a Manhattan police woman, coming home after a night shift. She watched me pick up my book to read and said, "that's what I want to do when I retire: read." It'll be one long summer vacation, finding friends in fiction, finding something to ponder with friends in real life. I thanked her for working all night--so we felt safe reading in bed. So here's your topic: Write a memory of summer reading. Is reading why you love to write? What did you find and read in summer libraries, in rental homes, in your grandmother's basement? And also: what's on your summer reading list? Here's mine so far--because I want to read, read, read as if I were waiting until after rain to check the crayfish traps and swim out to the big rock. B is for Bad Poetry but Pamela August Russell. That's just the stack by the desk. There are a thousand more in the bedroom, in the library, in my shopping cart. Oh, and if you're in northern NJ on July 13, come to Bookends in Ridgewood for a free writing workshop and signing at 7pm. Or Barnes and Noble on Route 17S in Paramus at 730 for a signing and reading--I'm bringing chocolate. Which is not to say that writing is about fighting--although if you ask some of my students there's a battle with the fingers and the page and the brain--but today's topic is one I used recently in workshop, and I was so thrilled to have everyone's characters gain sudden depth and speak to us right there in a snow-crusted Starbucks while cellphones buzzed with urgencies and the police politely reminded people that icebanks atop their cars could turn into deadly weapons (I kid you not, and I thank them; a school secretary's husband was killed by a truck iceberg last year). Anyway, since digression is one of my favorite things, I will break up this topic for you so you can follow along. Don't cheat. 1) pick two characters. If you're not working on something right this minute, pick a real person and make up a character. Write (or type) their names on the top of the page. 2) Pick a conflict. Commit. I know you might think, oh, I have plenty in mind, but just pick one, and write it down. Maybe it's a husband who wants to move to Yugoslavia and a wife who wants to stay in the Bronx. Maybe it's two sisters fighting over a shirt, some amazing boots, the only food in the house, a boy, or whose turn it is to call for an intervention. 4) Write a dialogue between these characters, about this conflict. Choose first person (I said, for one character) or close third (she said; he said). Write this dialogue for 14 minutes or four pages, whichever comes first. Don't forget to just write. 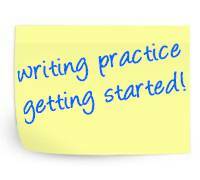 5) go back to your dialogue (don't read this until you've written!) and add at least two beats (the spaces between dialogue in which the characters adjust their bra straps, or tip their chairs back, or think the opposite of what they're saying). Now add one more, making sure it gives some important sensory information, ie, She smelled like smoke, I thought, bitter and ruined. Then post it all here in the comments, so we can be proud of you. Conflict and dialogue both, by nature, move a plot along. And with dialogue we hear your characters speaking, and they can think things they do not speak, and do things with their bodies (stepping backward, poking each other with pencils) that tell us even more. Can't wait to read you here! Guess what? My new novel, THE ORPHAN SISTER, is coming in July 2011. I know it's been a long time since I've posted, but you're still visiting, writing, and emailing. Thank you! When I'm between novels, I always return to writing practice--I hope you'll come back and try every topic I've recommended. Meanwhile, the peonies have dropped their heavy petals and the wax begonias are sunbathing. My son just came home with a fat file full of finished work--and we're labeling, signing forms, planning for a summer of daycamps and new pursuits. I try to think of summer not just as a time to shuttle from drop off to pickup to the much-politicized local natural pool, but also a time to try new things. Sometimes it's best to sit outside and write, even if my pen gets sap-stuck and I can't bring my laptop for glare. I'm remembering my own summers: Bread and Puppet Circus, working at a dairy farm, a stable, science camp and deep, creative boredom on summer trips to Vermont. Write about your summer when you were ten. Write about the summer you wished you had. Then give yourself the freedom to change your routine--the kids are at daycamp, so put your feet in the kiddie pool and write about something new. Or try something new: try watercolor painting, read nonfiction if you love novels, read a poem outloud to your child, your spouse, your grandmother over the phone. Make a list of things you don't get to all school year, and give yourself an hour each morning--maybe for a week, maybe all summer if you can. Major in the flexible mind. What with mother's day, and library visits and book groups (thank you, wonderful folks, who have hosted me in your homes - I've learned so much! ), I've been thinking a lot about how although my parents (look of shock) weren't perfect, somehow they managed to teach me that I could do/be whatever I wanted to do/be. "You tell them they can do anything they want, but I never expected my little girl would want to go to West Point!" They adjusted, and so, I hope, will I, to whatever passions my children choose (or whatever passions choose them), as long as they don't hurt anyone else. But meanwhile, I'm doing my best to teach them -- it's okay for boys to think American Girl Dolls are cool; it's okay for girls to love sports -- cliches, for sure, but true. Remember Free to be you and me? William wants a doll? This week's writing topic: Make a list: what I want to teach my children. Choose one and write about it for 22 minutes. Go. Oh yes indeedy, Mother's Day is coming up. 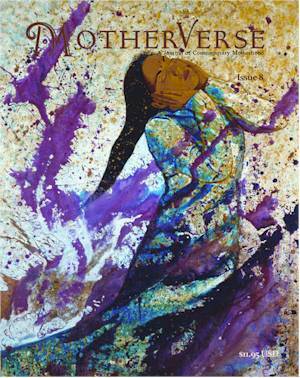 Of course, I highly recommend The Other Mother as a gift. 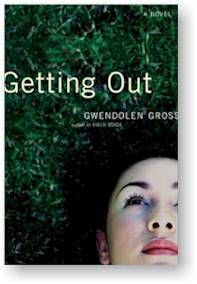 And, if you email me at ggross@gwendolengross.com I will send you a handy signed bookplate "to Elizabeth's Mom," etc. If your mom likes a good read and already has TOM, check out the lovely Allison Winn Scotch's freshly out in paperback The Department of Lost and Found. It's touching and warm and wonderful, and Allison herself seems to be, too. 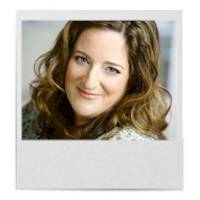 She has a very writer-friendly blog, Ask Allison, with all kinds of insider advice on writing, especially for magazines, but fiction as well. She's a writer's writer, as they say. 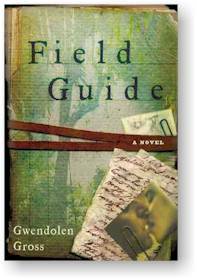 Pick up her book today, if not for Mom, for yourself! If Mom's nuts about knitting (how did this happen? I'm nuts about knitting. Next comes knit-lit, as my husband says, or, if you're joking about skeins, knit-wit. Oh dear.) and your budget's a bit bigger, how about stopping by here? Or if you're in northern NJ, I just went to the most amazing yarn store on my way back from a book group: The Stitchery. OMG, the colors! The kind and helpful staff! That's this week's writing topic after all: A letter to Mom, trying your very best to write specific details--and not the usual ones, either--the you-changed-my-diaper ones. The conversation about worms, the letting me pick out anything in the toystore (I chose Misty of Chincoteague the plastic horse model) after the pet catfish died, if you can remember them. Spend 18 minutes. I can't wait to read them! This week's writing topic: A letter to Mom, trying your very best to write specific details--and not the usual ones, either--the you-changed-my-diaper ones. The conversation about worms, the letting me pick out anything in the toystore (I chose Misty of Chincoteague the plastic horse model) after the pet catfish died, if you can remember them. Spend 18 minutes. I can't wait to read them! If you go, let us know what you think! What is it about knitting? 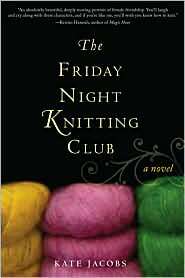 I finally broke down and bought The Friday Night Knitting Club to take on vacation—and have to admit, the skeins on the cover are probably the most compelling (I’m not slamming the book—I haven’t read it yet!) book jacket I’ve seen in a while. Dogs and yarn. Note to self: next book should have dogs and yarn on the jacket (instead of whistful women--though I have loved my book jackets, too (thought Luft und Liebe's hilarious. Anyway, I started knitting back in the ‘80s as part of a winter term project at Oberlin College. My other projects that winter included a Swingle Singers residency and learning microtonal music. My brain was still growing back then. I learned to knit a basic fair aisle sweater, and made about a dozen, designing my own within the basic pattern. I had two pairs of needles. Then after college, I started knitting sweaters for babies, designing my own and branching out into all types of yarn. But now, now it’s a revolution! I started up again after having bone graft surgery, and I can’t stop. There’s so much locally and online (oo, click me! or me!) and the yarns are glorious, and knitters are ubiquitous. I have friends who hide their stashes (an interesting choice of jargon to begin with) so no one in their family knows how much they spend on yarn. It’s cheaper, in my friend Cindy’s words, than crack. The other day my friend Kim called to tell me about a knitting event at her local library; my friend Linda left a message about a knit-in at Barnes and Noble, but the strange thing is, I really like knitting alone. Maybe it’s partly that I still can’t get the kind of all-out exercise I used to before the ankle surgery (it’ll take up to a year), but knitting calms me, helps me focus. It’s kind of like the reverie of writing, though not the same kind of almost physical mental effort—more like meditating, perhaps. Anyway, I’m glad it’s this new public festival, I’m glad it’s IN, I’m glad I can lust after glorious yarns and click on handmade skeins and notice a hand-knit a mile away. I don’t know how long it’ll last. Maybe until I can start taking the other kind of spinning class again. Or maybe my whole house will be covered in lace, knit and purl. Making something out of raw materials, straw into gold, we like making things, whether it’s babies or blogs or books or blankets, and there’s nothing wrong with that. This entry is cross-posted from the New Jersey Moms Blog. All that said, here's your new topic: Write about making something: Think Tillie Olson's As I Stand Here Ironing, or building a house, or being pregnant... Write for 14 minutes. Hooray for spring! but fresh from a mom writers panel event at the White Plains Library with Jane Green, Pamela Dorman, and Role Mommy Beth Feldman (if you were there, thank you for coming, and for the fabulous questions!) I wanted to offer up a fresh topic. I've been thinking about wishes, about how they change over time, about how close they can be to prayer, how selfish, how light. So here's your writing topic. Take a piece of paper and draw a line down the middle. Using your dominant hand (say, right if you're a righty) make a list of wishes on the corresponding (in this case right) side. Then put the pen in your nondominant hand and write on the other side. Make a list of secret wishes. This could be in code if it's easier to admit to them that way (of course, they can all belong to a character anyway!). Now choose one wish from each column and start to write. Don't forget the sounds, textures, taste of it all. Write for nine minutes. I hope your wishes smell like just peeled oranges. 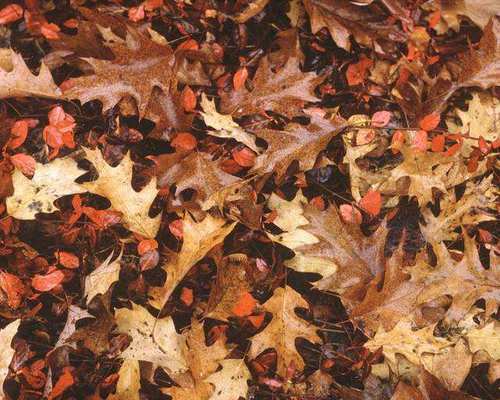 The light is weak and the lawns are littered with the last of the oak leaves, but fall's still my favorite season. 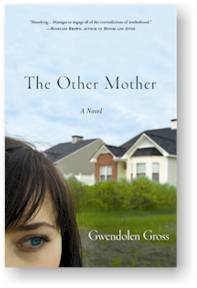 Promotion for The Other Mother continues long after I thought we'd be done, but I have to say, I've met some amazing bloggers, journalists, and most of all: parents. Here's your writing topic for this week. In three minutes, list as many responsibilities as you can (yours, your character's, your mom's). Then take your list, and you can make a list poem. Write about what happens when your character abdicates all responsibilities like a wanton queen. Choose one item and write about how it feels to hold that in your body, how it shapes your (your character's) days. Write this one for 14 minutes. Well, it's dark much too early, and this is the season of tea parties and damp cuffs. My sister had a baby a few weeks ago, and I find myself thinking about that new life--their new life all together--each day. 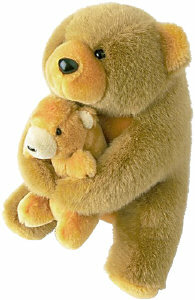 Write about a birth--yours, your child's, a puppy's, a star's--from the point of view of an observer. Be sure to use your senses....Write for 12 minutes.